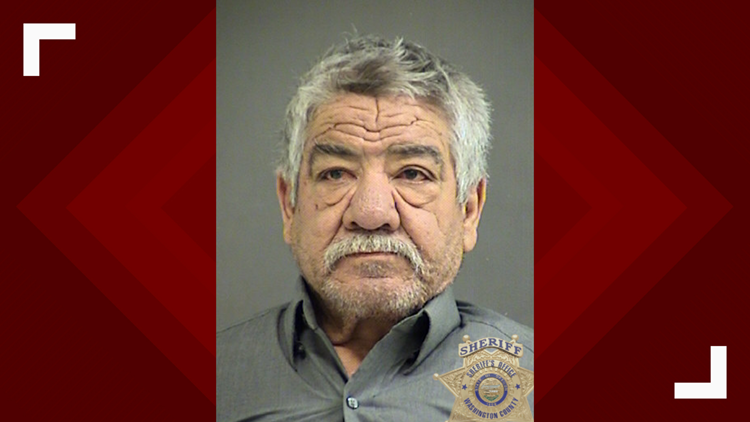 Fidencio Diaz-Eguiza has been arrested in connection with the shooting of his wife, according to Hillsboro police. Fidencio Diaz-Eguiza has been arrested in connection with the shooting his wife, who is expected to survive. HILLSBORO, Ore. — Fidencio Diaz-Eguiza, 61, was arrested Monday and accused of attempted murder for shooting his wife on Sunday, according to Hillsboro police. His wife, 59, was taken to a hospital with serious injuries. She was expected to survive. The shooting was reported at around 4:15 p.m. in the 2700 block of Southeast Tumblestone Drive. Diaz-Eguiza was also accused of second-degree assault and unlawful use of a weapon involving domestic violence.